In this post we’re going to show you some of the best Raspberry Pi accessories. The Raspberry Pi is a credit card-size microcomputer board that you can get for approximately $35. The most recent version of the Raspberry Pi is the Raspberry Pi 3 Model B+. Discover what’s new on the Raspberry Pi 3 Model B+. When you get a Raspberry Pi board, you just get a bare piece of hardware that can’t do much on its own. 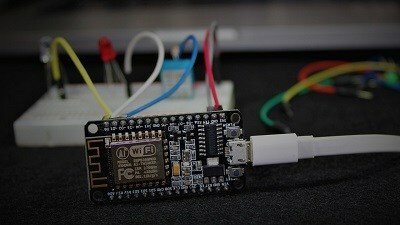 But there are a wide variety of projects and useful tasks the Pi can do when combined with the right accessories. There are a wide variety of accessories for the Raspberry Pi. We’ll show you 10 of the best accessories for your Raspberry Pi. 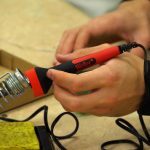 The SenseHAT is a great piece of hardware that allows you to do countless projects. It sits right on top of the Pi’s GPIOs and features an 8×8 RGB LED matrix, a five-button joystick, a gyroscope, an accelerometer, a magnetometer, a temperature sensor, a barometric sensor, and a humidity sensor in one package. 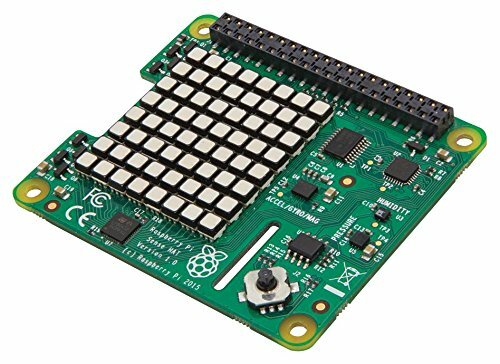 The SenseHAT is compatible with Raspberry Pi models with 40 GPIOs. 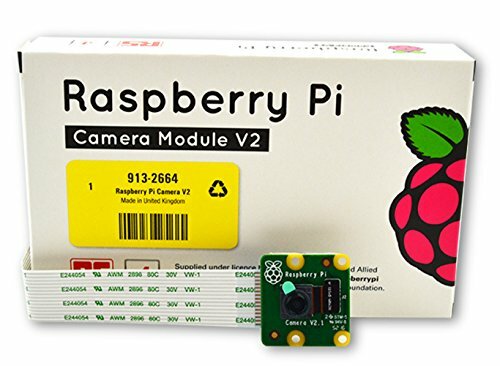 The Raspberry Pi Camera Module v2 features an 8 MP Sony IMX219 image sensor with a fixed-focus lens. It’s capable of 3280×2464 pixel static images and supports video with resolutions of 1080p at 30 frames, 720p at 60 frames, and 640×480 at 90 frames. This means this is a great camera for its size and price. 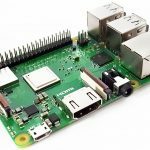 There are also other cameras for the Pi with other specifications – you can read our post that tests and compares different Raspberry Pi cameras. The Raspberry Pi Touchscreen display is a great accessory for the Pi. It allows you to easily build a Raspberry Pi Touchscreen PC. If you want to use your Pi as a desktop computer, or as a tablet without the need to plug a monitor or TV, the Rasperry Pi Touchscreen display is a great solution. It is easy to set up and you can use one of the available cases (as the one shown below). There are also many people that design and 3D print their own cases. 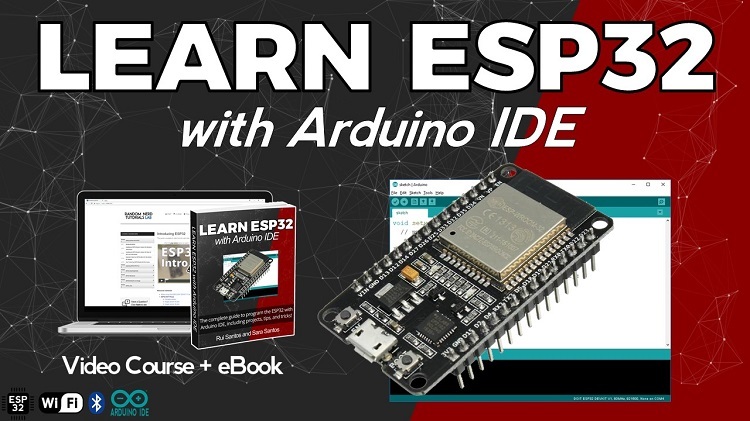 If you want to start learning digital electronics with the Raspberry Pi, a great way to get started is getting a development kit for your Pi. 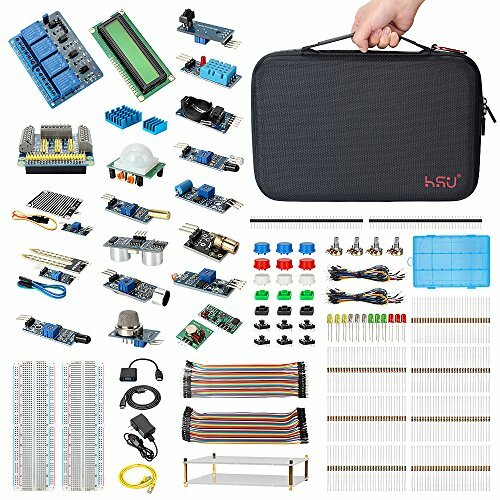 The kit we feature here comes with a nice set of components to get started doing electronics projects with the Pi. 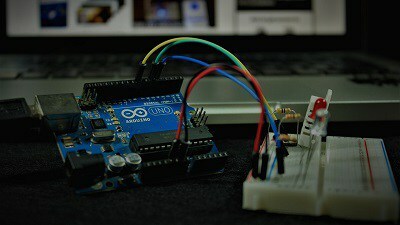 It comes with breadboard, jumper wires, a set of LEDs and resistors, potentiometers, pushbuttons, and a wide variety of sensors. Everything comes well packed inside a carrying case to keep everything organized. 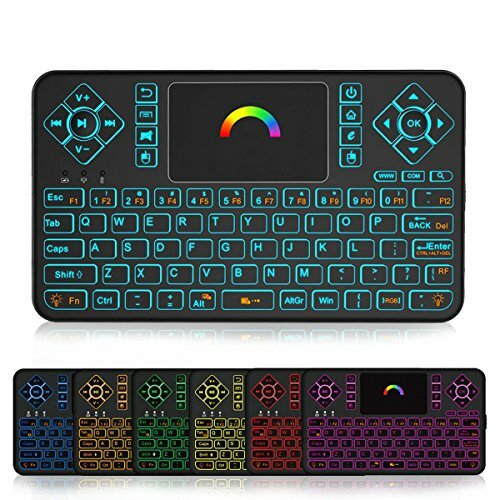 If you use your Raspberry Pi as a media center, desktop computer, or as a retro gaming station, getting a mini wireless keyboard such as this can be really handy. It combines a keyboard with a touch pad mouse and it is wireless. Additionally it comes with an RGB back light color that you can adjust as desired. 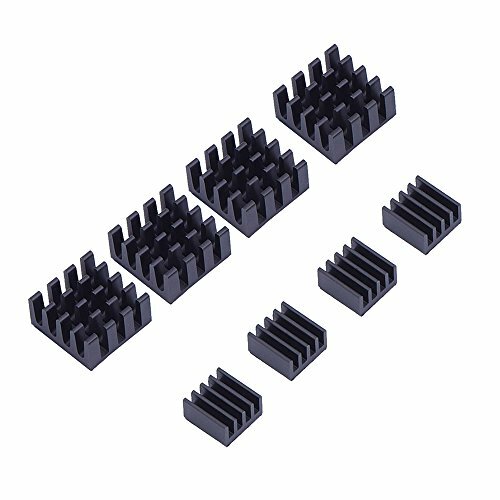 A set of heat sinks can be a great accessory for your Pi to prevent overheating. There are also other ways to cool down the Pi’s processor. 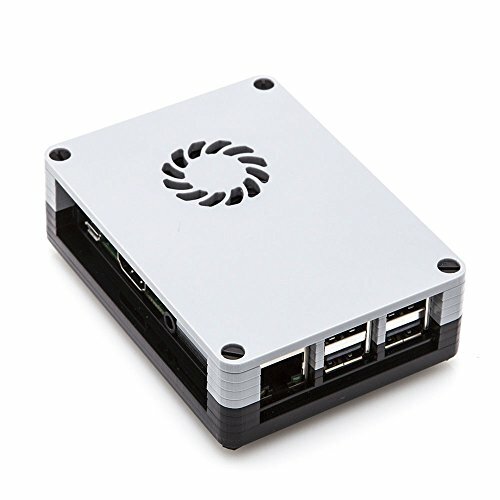 For example, you can use a case with built-in fan or use both the fan and the heat sinks. The Raspberry Pi is great to emulate old consoles and run the games we used to play in our childhood. 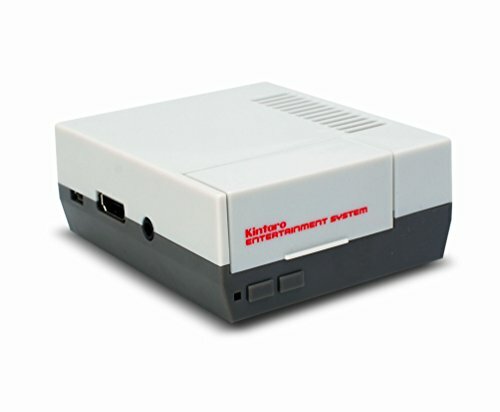 This case is a great accessory for your Pi if you want to give it a retro look to resemble old consoles. 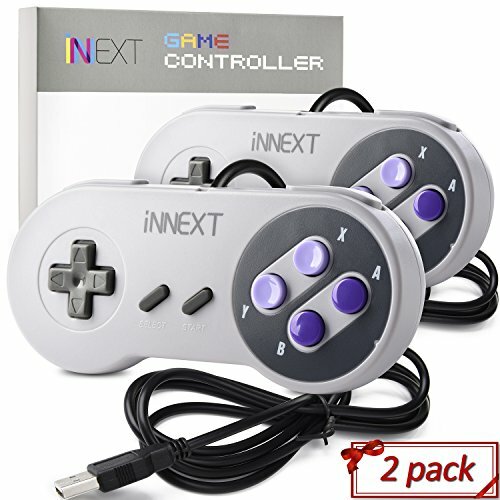 A set of SNES gamepads is also a great accessory for the Pi to build your gaming station. 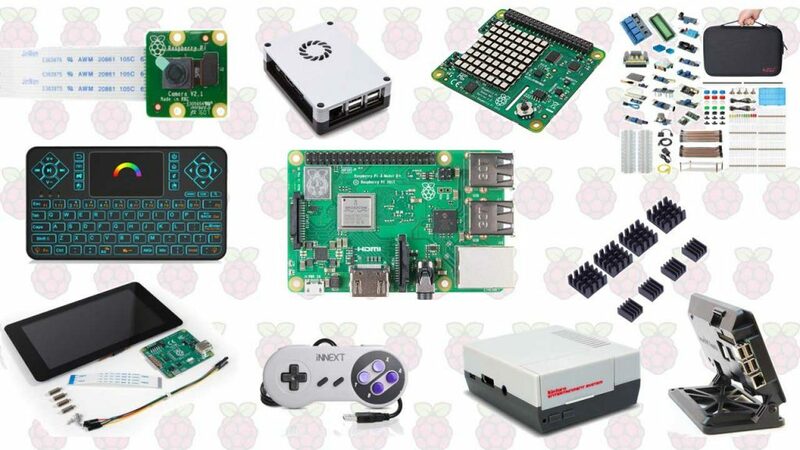 If you want to turn your Pi into a gaming center, you may want to take a look at the Best Raspberry Pi Retro Gaming Kits. 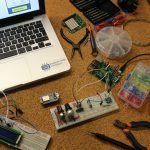 The Raspberry Pi is a very versatile piece of hardware that you can use to build countless projects. 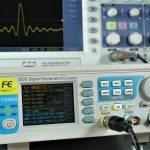 There are a wide variety of accessories for the Pi that make it useful for many different applications. 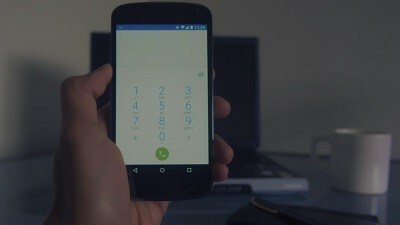 For example, building a touchscreen PC, a home surveillance CCTV system, electronics projects, and much more. 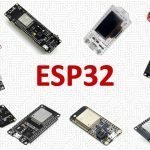 In this post we’ve shown you a list of some of the best accessories for your Pi. 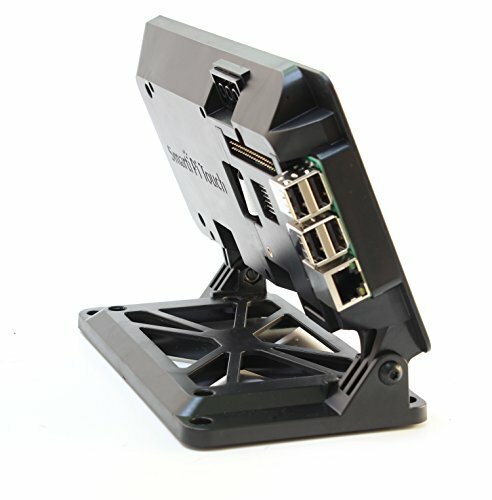 What Raspberry Pi accessories do you use that you love? Let us know by posting a comment down below. 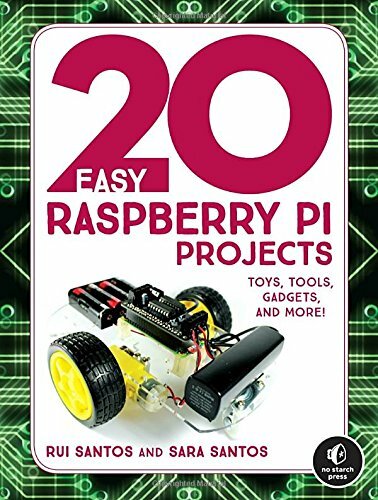 If you’re just getting started with the Raspberry Pi, take a look at our Book: “20 Easy Raspberry Pi Projects: Toys, Tools, Gadgets, and More!“. 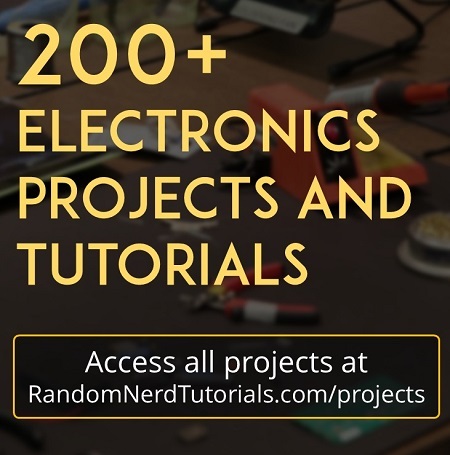 A collection of beginner friendly projects with the Pi to get started with electronics projects and programming. You might also want to take a look at our review about the Best Raspberry Pi books for beginners.